Next time you are in the southern Catskills, stay in a rooming house in cozy rooms in a clean comfy farmhouse 10 miles from Bethel Woods in the quaint Delaware River town of Narrowsburg, NY. 3 Private rooms accommodations with 2 house bathrooms and shared common spaces. . Price per night is per one room for 1-2 people. If you book 3 rooms, the whole house is yours during your stay. Choice of either of 2 full or 1 queen room with comfortable memory foam mattresses. Use of common spaces, 2 shared bathrooms, kitchen for light meals and rocking chair porch. Walk the grounds and watch the sun rise and set. Priced at per room per night. Minutes away to 10 Mile River rafting, organic farms and farmer's markets. I am a working RN who is into holistic healing and growing plants. This is a charming 1890's farmhouse in the heart of the Sullivan Catskills, near the upper Delaware and Bethel Woods. The energy here is awesome, lots of green space, gardens, artsy town, farms, and river sports including fly fishing. 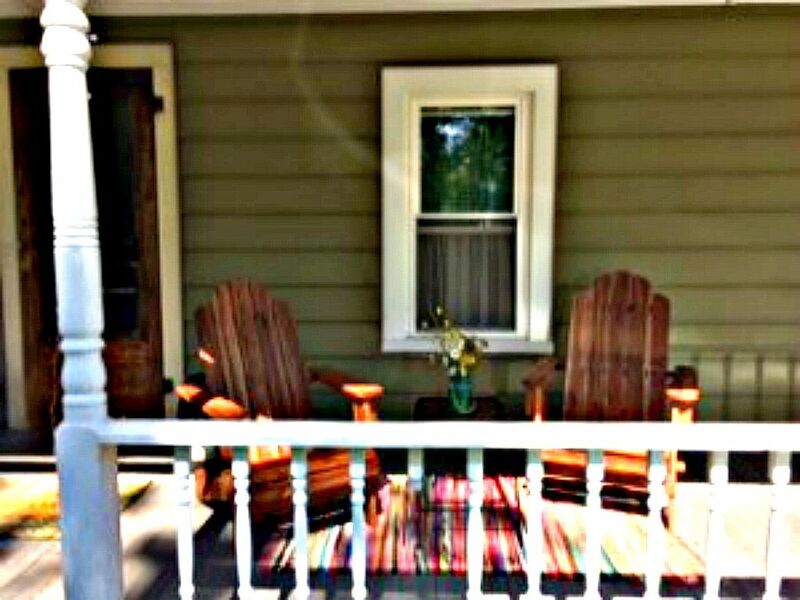 You will feel refreshed and renewed when you sleep here, sit on the rocking chair porch, and relax. There are amazing sunsets out back. This used to be an old Post office. I feel like we have saved it from decay while preserving the old time charm.